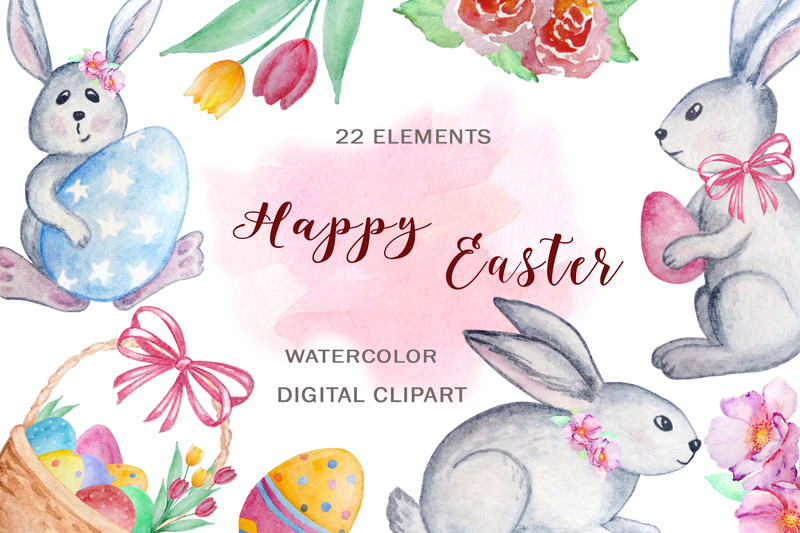 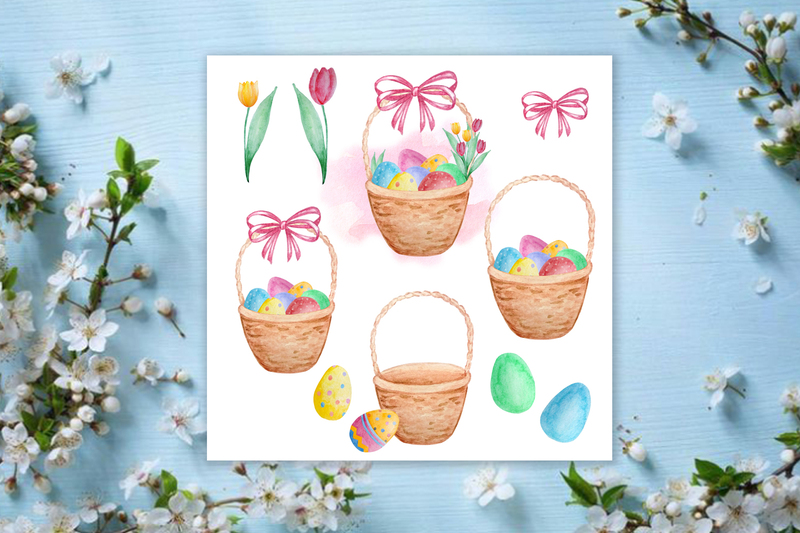 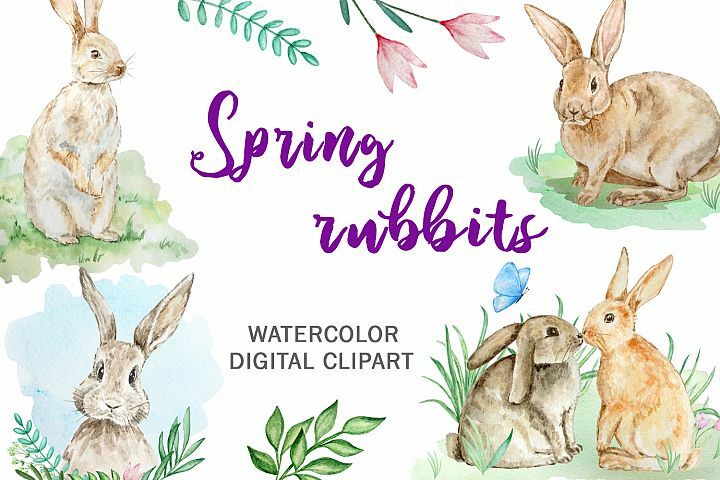 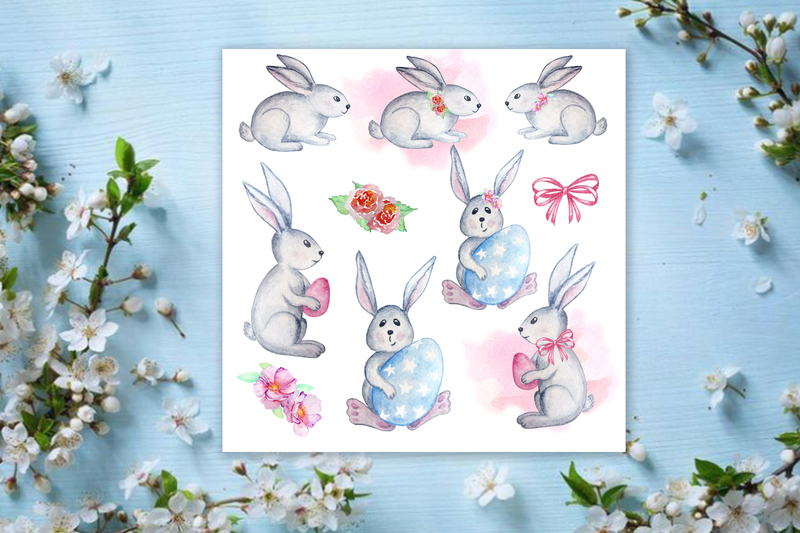 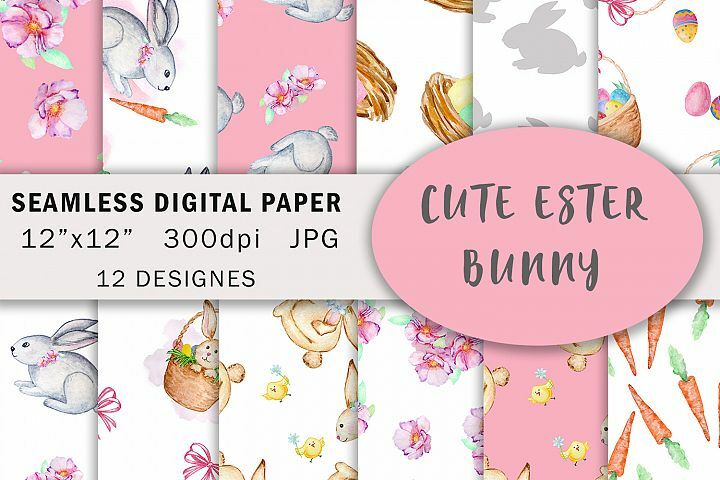 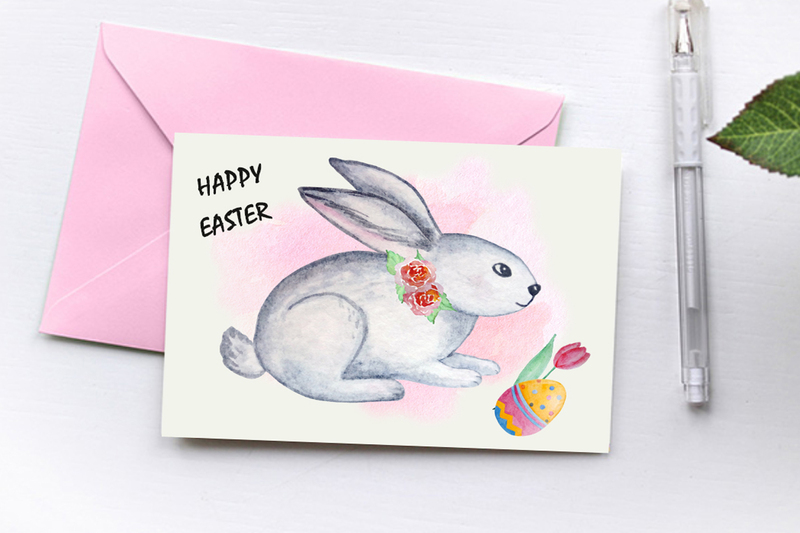 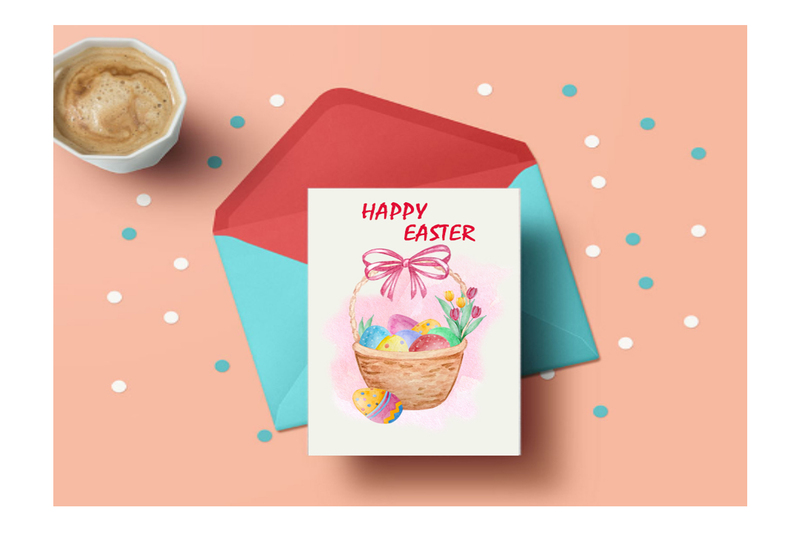 Hand Painted Watercolor Clipart - Happy Easter clipart elements: Cute Bunnies, Tulips, Easter Eggs, Easter Basket, Fljwers, Bow. 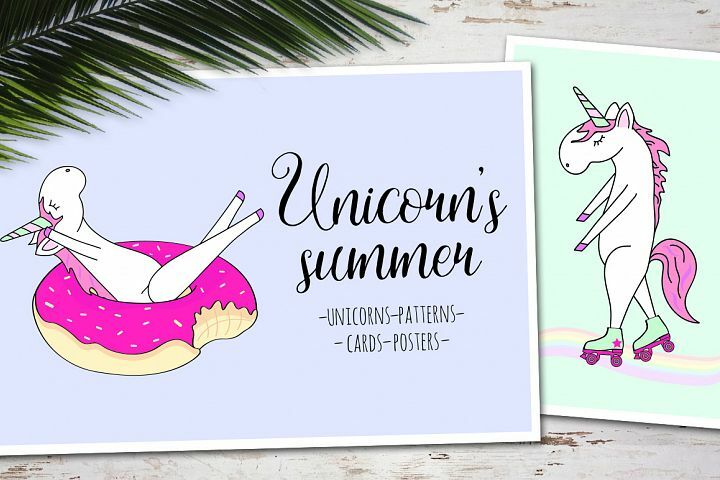 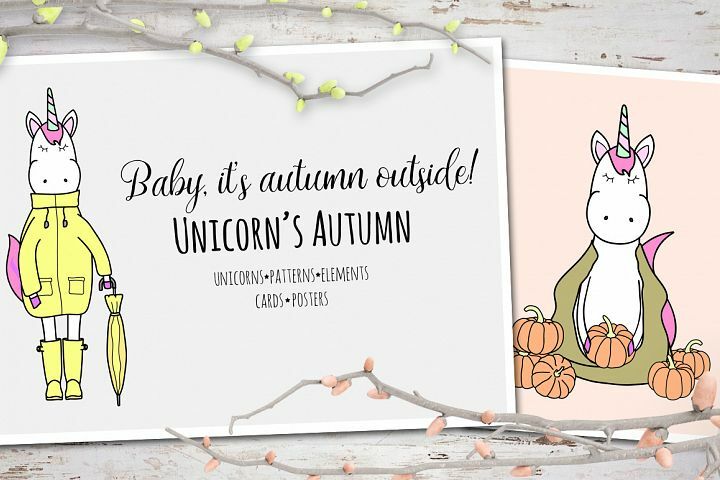 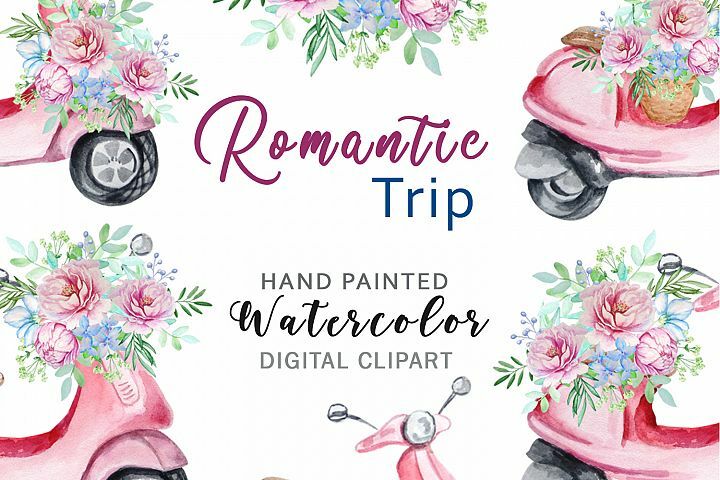 Perfect graphic for postcard, wedding invitations. 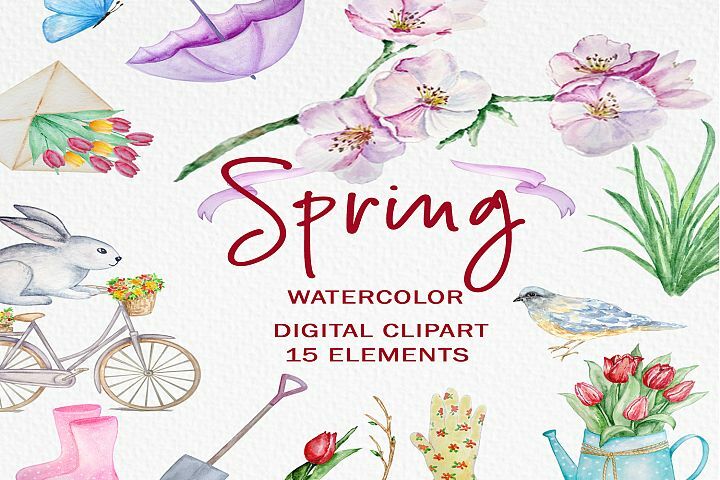 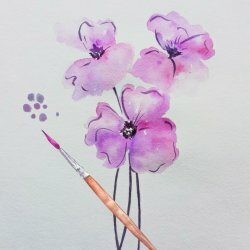 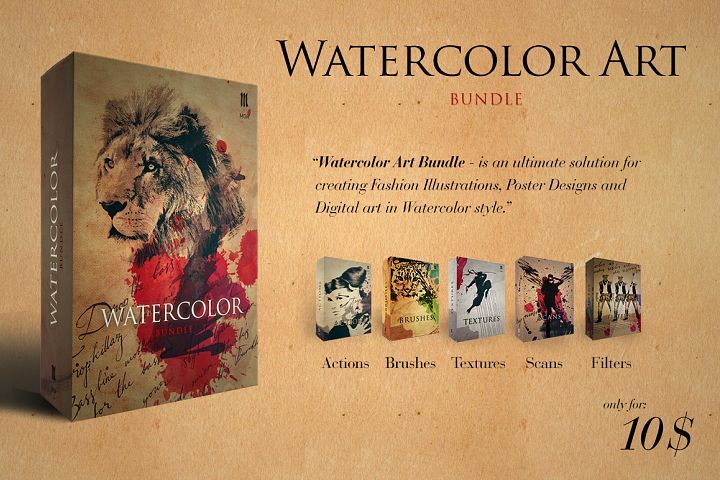 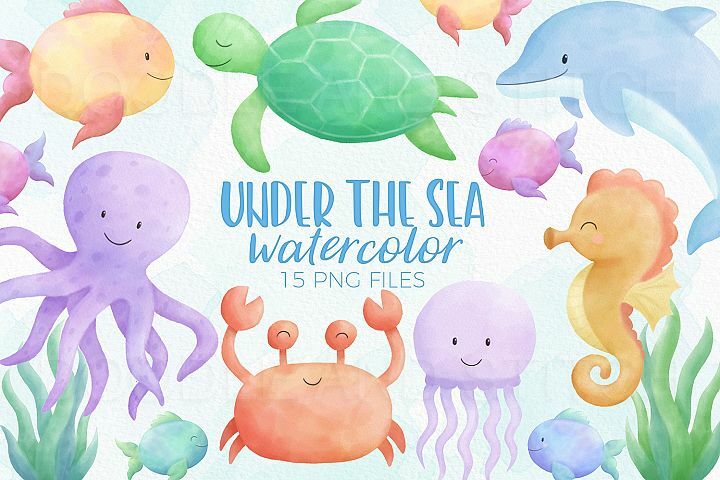 This set of high-quality hand-painted watercolor elements will help you in creating your project. 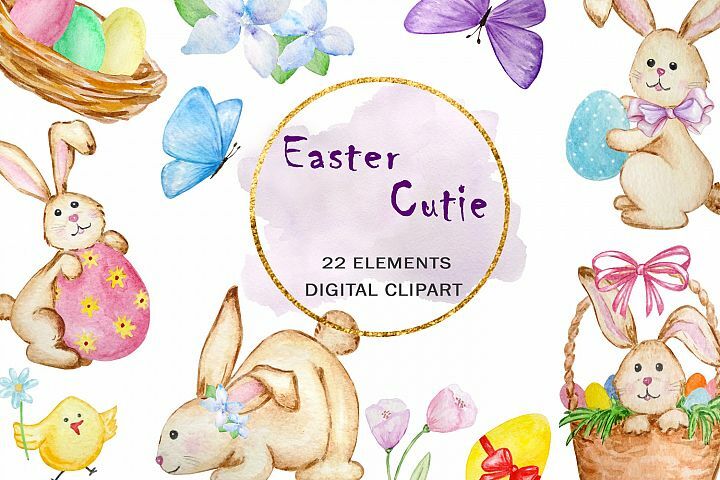 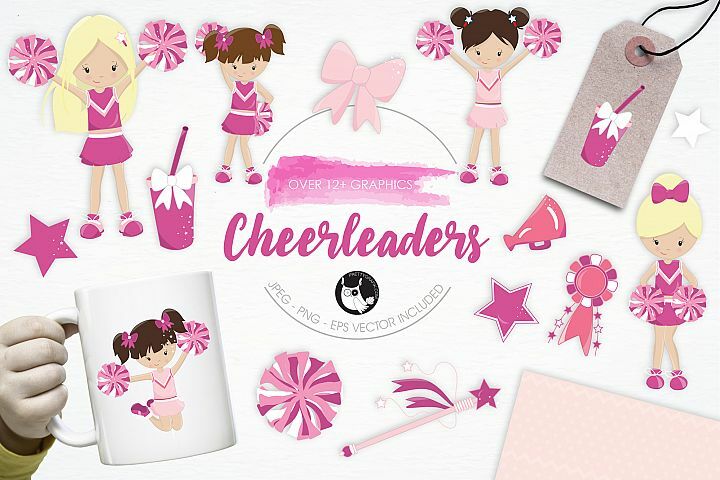 Set of high resolution clipart pack 21 files. 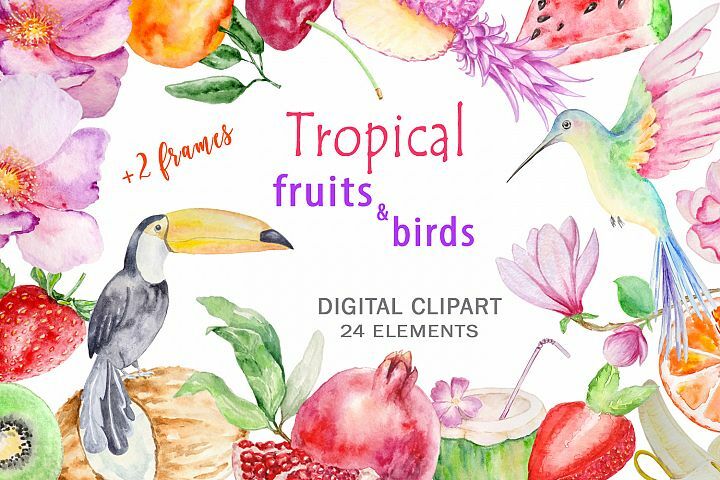 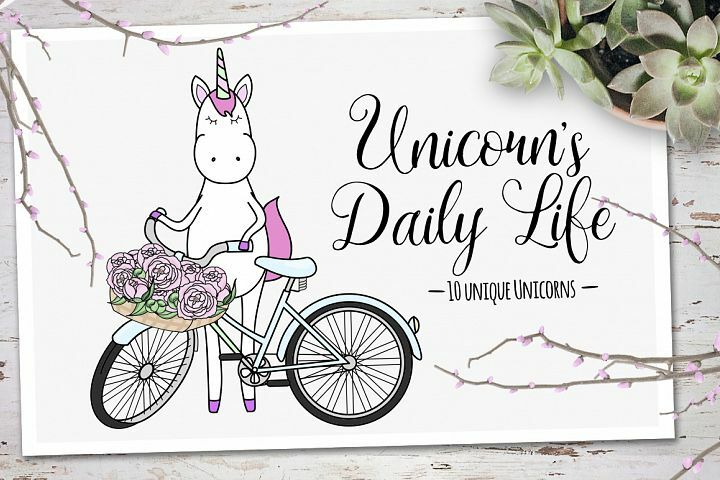 Approximately size: 3000 x 3000 pixels, 10x10 inches, 300dpi.